Home / CELEBRITY NEWS / Tom Cruise Leads the Cinematic Re-invention of "The Mummy"
Tom Cruise Leads the Cinematic Re-invention of "The Mummy"
Global superstar Tom Cruise headlines a spectacular, all-new cinematic version of the legend that has fascinated cultures all over the world since the dawn of civilization: The Mummy (in Philippine cinemas on June 7, 2017). Cruise plays Nick Morton, a soldier of fortune who plunders conflict sites for timeless artifacts…ones he sells to the highest bidder. When Nick and his No. 2 are attacked by insurgents in the Middle East, in the ensuing battle, they accidentally unearth a tomb of an Egyptian pharaoh they come to know as Ahmanet. Nick is not simply the one responsible for setting Ahmanet free, he’s fulfilling an ordained destiny he couldn’t have possibly imagined. Now, he is the only one who can stop her ascension to a global ruler who will enslave humanity. The Mummy is the first chapter in Universal Pictures’ new series of films called Dark Universe which will revive the studio’s classic monster characters for a new generation. 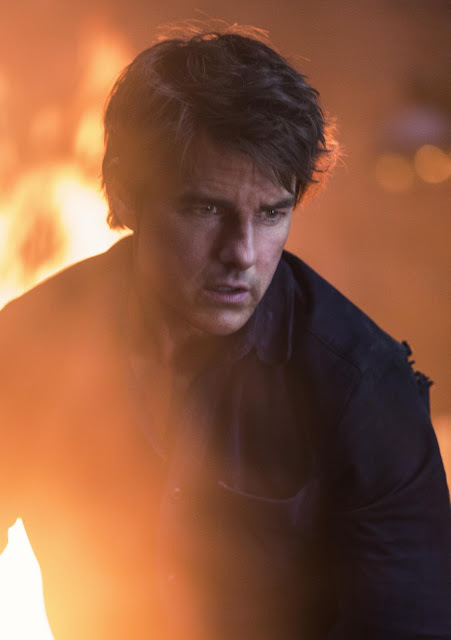 As they worked together, Cruise and his producers created an experience that was as scary and exotic as it was bold and daring. The Mummy for a new generation is as audacious as it is unexpected. While people will recognize core elements from Universal’s monster universe—this film celebrates classic mythologies—The Mummy’s characters are grappling with all of their lives upended as Ahmanet enters today’s world.